Um... hold on a minute here. 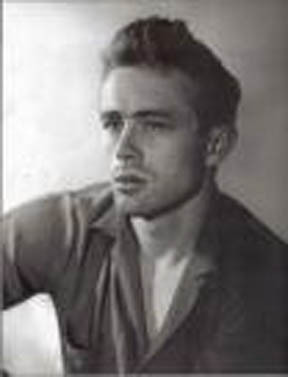 Our column title refers to checkerist E. Deans, not to the famous actor James Dean. One of our editors must have been up late watching old movies, we suppose. Rather than discussing the movies, though, our Checker School series heads back to some checker basics over the next few months. Today we present a lesson on Deans' Position. It's a classic example of the classic checker principle of mobility. Let's look at the diagram below. Black has slightly superior forces with two kings to White's one, but a definite advantage in mobility. The question is, of course, does Black have enough of an advantage to win? In this case, the answer is yes, but showing it is the problem. Can you do it? Give this textbook position a try and then click on Read More for a detailed solution and several sample games. It's a practical lesson this month and one that you will use often in your own play. The solution and notes are from Ben Boland's Famous Positions in the Game of Checkers. 10-15---A, 1-6, 15-19---B, 6-10, 19-23, 10-14, 11-15, 14-9, 23-27, 9-14, 27-32---C, 14-9, 15-11---S, 9-14, 12-16, 14-18, 16-19, 18-22, 19-23, 28-24---I, 11-15---J, 20-16, 32-28, 24-20, 28-24, 16-12, 15-11, 22-18, 23-26, 18-23, 24-28, 23-30, 28-24, 30-26, 24-19. Black Wins. Game: 11-15, 22-17, 15-19, 24-15, 10-19, 23-16, 12-19, 26-22, 8-11, 17-14, 9-18, 22-8, 4-11, 25-22, 11-15, 30-26, 3-8, 27-24, 5-9, 24-20, 6-10, 20-16, 8-12, 32-27, 19-24, 27-20, 12-19, 20-16, 19-24, 28-19, 15-24, 16-12, 7-11, 12-8, 11-16, 8-3, 16-20, 3-8, 24-27, 31-24, 20-27, 8-11, 27-32, 26-23, 9-13, 11-16, 10-14, 16-19, 1-5, 19-24, 2-6---D, 23-19, 32-28, 29-25, 28-32, 19-16, 32-28, 24-19, 28-32, 16-11---E, 32-27, 11-8, 27-31, 19-23, 6-9, 23-19, 31-26, 19-15, 26-17, 15-10, 14-18, 21-14, 18-23, 10-15, 9-18, 15-22, 23-27, 25-21, 27-32, 8-3, 32-27, 3-7, 27-23, 7-10, 23-19. Forms above position, colors reversed, at 6th move. P. Thirkell, Game 72 Scottish Draughts Quarterly, Vol. 3, 1899, from the Northern Leader. Game: 11-15, 23-19, 8-11, 22-17, 4-8, 17-13, 15-18, 24-20, 9-14, 28-24, 5-9, 26-23, 1-5, 32-28, 14-17, 21-14, 10-17, 23-14, 9-18, 25-22, 18-25, 30-14, 6-9, 13-6, 2-18, 29-25, 11-15, 19-10, 7-14, 20-16, 12-19, 24-15, 5-9, 31-26, 8-11, 15-8, 3-12, 27-24, 14-17, 25-21, 9-14, 24-20, 18-22, 26-23, 22-25, 23-18---F, 14-23, 21-14, 25-30, 14-10, 30-26, 10-7, 26-22, 7-2, 22-18, 2-6, 18-15, 6-9, 23-27, 9-14, 27-32, 14-9, 15-11. Same as above position at S. R. D. Yates vs. J. Wyllie, 1876, Var. 9, Page 62, "R. D. Yates, Checker Player." Game: 11-15, 22-18, 15-22, 25-18, 8-11, 29-25, 4-8, 25-22, 12-16, 24-20, 8-12, 27-24, 10-15, 24-19, 15-24, 28-19, 7-10, 31-27*, 3-7, 27-24, 9-14, 18-9, 5-14, 22-18, 11-15, 18-9, 6-13, 20-11, 7-16, 24-20, 15-24, 20-11, 24-27, 23-19, 27-31, 26-22, 10-14 11-8, 2-6---G, 8-3, 6-9, 3-7, 1-5, 30-25, 31-27---H, 32-23, 14-17, 21-14, 9-27, 7-10, 27-32, 10-15, 32-28, 25-21, 28-32, 19-16, etc. Forms above position, colors reversed. Master Play, Part 6. A---Chasing the King on square 1 only draws: 11-7, 1-5, 10-6, 5-1, 7-10, 1-5, 6-1, 28-24*, 1-6, 24-19, 6-2, 5-9. Drawn. Chas. T. Davis. B---12-16, 28-24, 16-19, 6-10. Drawn. C---The key to the situation, placing this King on 32. D---2-7 will draw, corrects the British Draughts Player, Page 117, Var. 2. P. Thirkell. E---This wins and corrects B. D. P. variation aforesaid. P. Thirkell. F---23-19 will draw here. A. Battersby, Doran's Old 14th. G---1-6, 8-3, 6-10, 3-8, 2-7, 8-3, 7-11, 3-7, 11-15, 32-28, 15-24, 28-19, 31-27, 21-17, 14-21,7-14,27-23. Drawn. F. Tescheleit. H---31-26, 32-27, 26-17, 7-10, 14-18, 21-14, 13-17, 25-21. White Wins. T. Lock-wood vs. J. Goodall. I---22-25, 23-26, 28-24, 11-15, 20-16, 32-27, 24-20, 27-23, 25-22, 15-19, 22-31, 19-12. Black Wins. R. D. Yates vs. J. Wyllie, see above game. J---N. H. Clark points out that 32-27 also wins here. The above position by Effingham (Effie) Deans may be found as No. 172 Lyman's Problem Book, 1881, No. 10 Bowen's Cross, 1878, but no doubt shown long before in the Glasgow Weekly Herald. In the American Checker Review, Vol. 1, 1888, it may be found as No. 78 at an earlier stage with this note: Was contributed by a well known problemist, who claimed a draw, Mr. Deans, however, has shown how neatly it can be won.